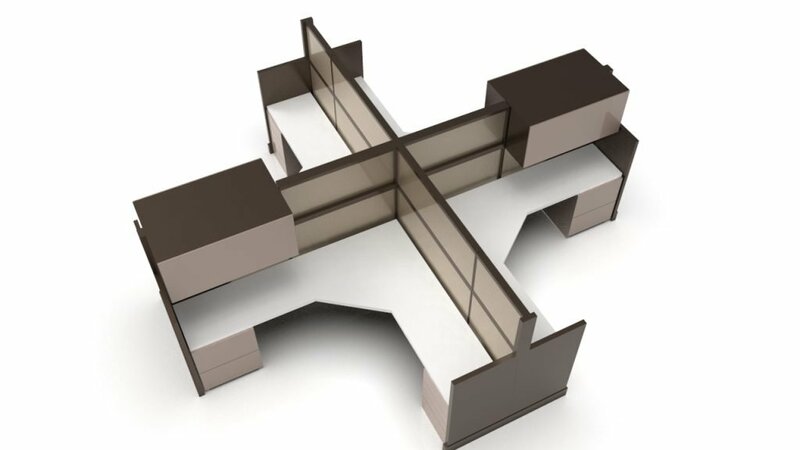 Choosing the right components for your cubicle is essential yet we find many times our customers are not aware of what components are available. We’ve created a simple guide to better help you understand what can go into a workstation as well as what sizes and configurations are available. 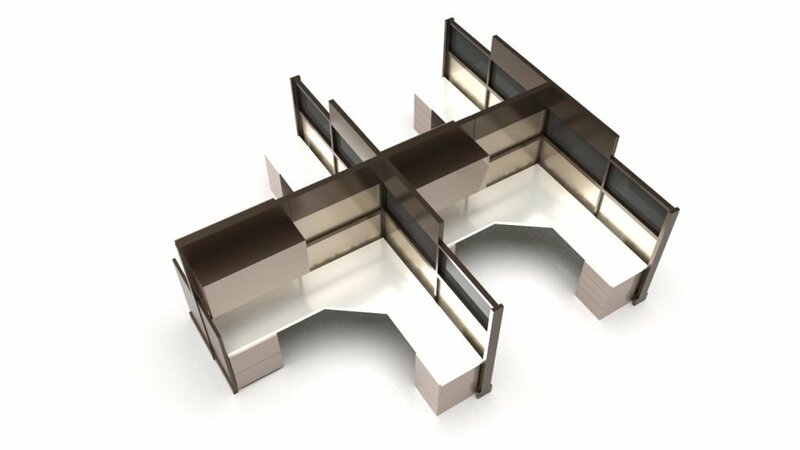 Workstation panels available in a variety of standard widths and heights to suit your office layout. Your choice of fabric and paint hues. Clear glass stacker to add sight lines. Also available with frosted glass. Overhead light, can be placed under overhead bin. Overhead bin with flip door. Tackboards, your choice of matching or accent fabrics. Worksurface. Choose from a variety of lengths, depths, and finishes. Kick plates to provide power to the workstation. Lateral file cabinet, available in three standard widths: 30", 36", and 42". Commonly used as reception stations, low panels are great for collaboration especially when communication among associates is required. If a degree of visual privacy is need seated privacy panel heights are a great solution. They are perfect in office environments where communication, interaction and some privacy is required. Commonly used as a call center solution. When general privacy is needed the standing privacy panel height allows for such even when other associates are standing. Overhead storage units can be fully used with this height. 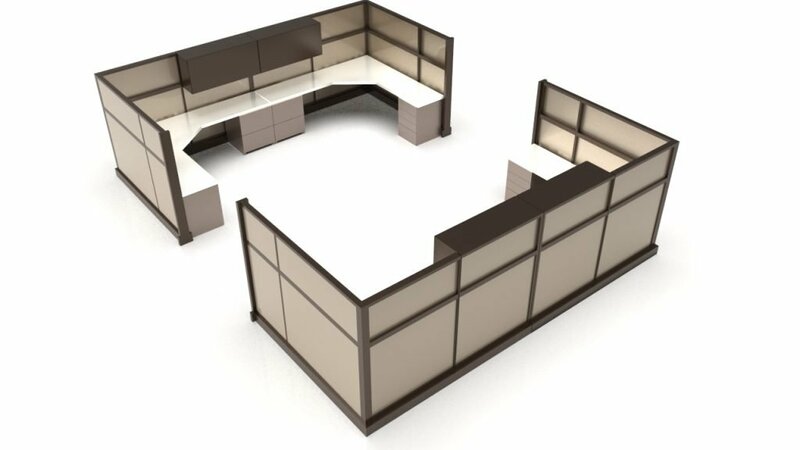 If a fully private office is the goal then your choice should be the private office panels. These panels can reach full ceiling heights, providing complete eyesight and sound privacy. Maybe you need a setup that requires a combination of different panel heights. 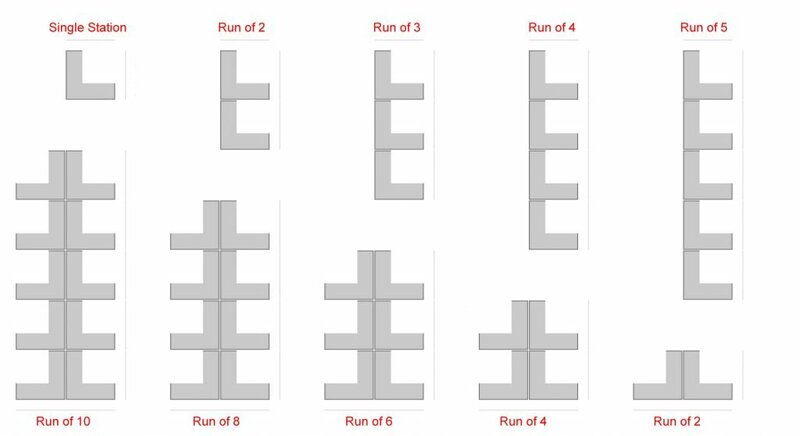 By using a combination of panel heights many configurations are possible. Our design team can help you better understand which option is best and put together a combo plan that works for you. By sharing common walls you reduce the per-unit cost of a workstation and while still providing some privacy this setup also uses the least amount of product. While maintaining some privacy this setup allows you to create an orderly office setup. Similar to the previous configuration this setup allows for a uniform office environment with some privacy. 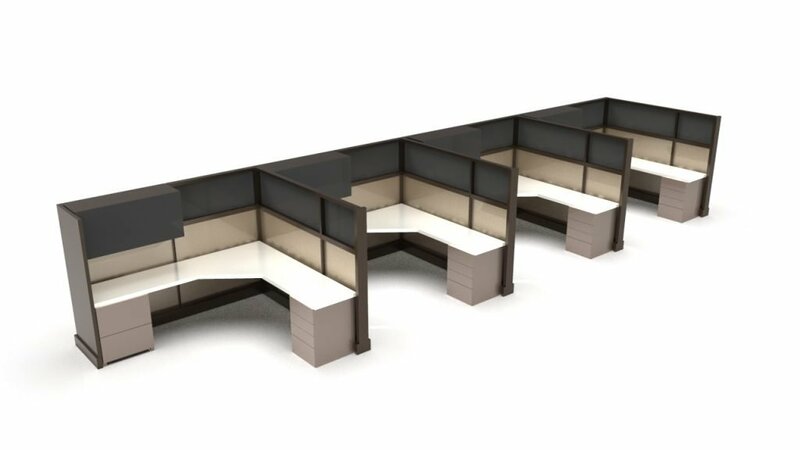 By providing a highly collaborative working environment this setup also offers some privacy and with the addition of a meeting table the setup allows for use as a small meeting room.